We have our Christmas Winner! Congratulations to Racheal Stewart from Andersons Travel in Bromborough ! After completing an Osprey Holidays city break booking last month and entering via email Racheal’s entry was chosen at random. 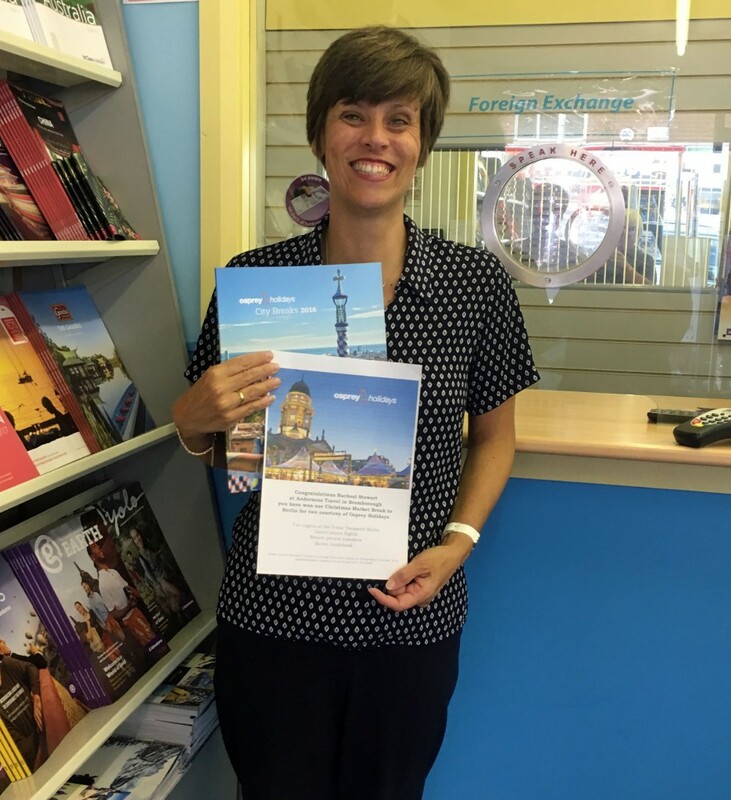 She has won herself a fantastic 5-star two night city break for two to Berlin this winter courtesy of everyone here at Osprey Holidays. The Win Christmas competition ran during July and August for all agents who booked any city break. We received a huge number of bookings and entries during this period which helped to promote early booking offers for our most popular Christmas Market breaks. We would like to thank all of the agents that took part in the competition! Please keep your eyes peeled for our next incentive coming very soon!